I’ve been trying to be intuitive and follow my instincts. That’s probably the biggest way that this feels different: because I’m trying to do something that follows my language 100 percent. The beginning for me was Beyoncé [Dundas designed her Grammys performance dress], that was the first drop. This is an organic continuation of what we started, having drops every few months [he also designed Emily Ratajkowski’s Cannes gown]. This Moda Operandi capsule is part of the whole. Afterward, I’m doing something else with Farfetch. So little by little, we’re gathering layers. I’ve enjoyed it very much. But I’m not doing it alone, I’m doing it with my partner, Evangelo. We started talking about it because a friend proposed investing in it. We thought, maybe down the line. Then he moved to Milan to be with me when I took the Cavalli job, and we realized we complement each other very well, not just personally, but also professionally. This time around, it was essential to me to do it with somebody who has my back, and whose back I have as well. Of course, it’s been challenging, but we’ve also had a lot of fun with it. It requires a lot of work to turn an established company and make it a modern one. In a way, having a blank sheet but having the experience I’ve been lucky enough to have so far in my career is a nice combination. Today, there’s so many established companies that are struggling to adapt to the times in terms of agility and versatility that I really don’t think a new company is at more of a disadvantage than an established company. "Modest fashion is witnessing a revolution without precedent," a spokesman for the Spanish brand said. This revolution will be hashtagged, with more than 600,000 Instagram posts tagged as #modestfashion. 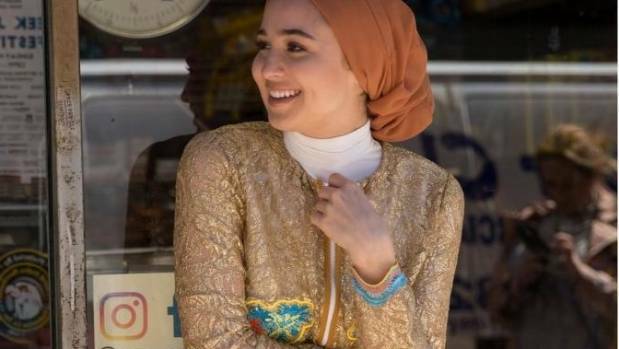 It's a trend that cuts across religious lines, with Christian, Jewish and Muslim style bloggers all cheering over the same modest, fashionable pieces that The Modist specialises in. Not that the trend for modest dressing is limited to certain religions or cultures. Guenez's brainwave may have come in Dubai, but half of the site's sales so far come from outside the Middle East: the US is the second largest market, followed by the UK. Guenez knows the online shopping field is crowded and challenging. Earlier this month, Conde Nast closed Style after nine months and an estimated US$100 million ($136m) in investment. Brand executives tell Guenez the world doesn't need another e-commerce player. "What makes them stop and think is that they can very clearly see how we are different. We're talking to a different population of women - women who have not been spoken to before, who are frustrated, who need this service." Just as there's a range of reasons to embrace modest style, from religious to aesthetic, there's also a spectrum of ways to wear it. If you're ready to try a more covered-up look, heed these tips from The Modist's Ghizlan Guenez and Sasha Sarokin. A miniskirt that's just a tad too short for comfort can make a smart tunic when worn over a pair of tailored trousers. A corset that exposes too much skin looks sharp over a crisp cotton shirt. "We pick things that are not as squarely modest, but the way we style them makes them modest," Guenez says. If you've got a statement top, keep the trousers or skirt slim, and vice versa. "It adds drama in all the right ways," Sorokin says. A black polo neck bodysuit is a modest dresser's best friend. Wear it under camisoles, shirts and bustiers - but if you layer the top of your outfit, keep the bottom simple, with a long skirt or chic trousers. Sometimes all it takes to make a piece modest is a little tinkering: closing a slit, adding a lining or lengthening the sleeves. It pays to find a local, reliable tailor to help make your wardrobe work for you. When you're wearing more clothing, the quality of the fabric becomes even more important. Look for substantial fabrics that sit beautifully and will wear well. Building a lifestyle brand that embraces self-love and pride was the ultimate goal of multi-platinum recording artiste Fuse ODG, also known as Nana Richard Abiona. Born in London and raised in Ghana, Fuse ODG is not only a vocal creative but a talented designer with a stylish vision. His brand, New Africa Nation (NANA), expresses beauty, fun and sophistication as it aims to build a nation of kings and queens by catering to the needs of its lifestyle. Through fashion, music, events, media and even children's toys, Fuse wants to reprogramme the world's mental image of Africa, its people and its diaspora. NANA's sound and clothing line is uplifting, inspirational and edgy as its colours, style, diversity and African prints influence happiness. During its debut a few weeks ago on the Caribbean Fashionweek runway in St Andrew, Fuse's pieces and performance sparked a celebration as attendees danced and enjoyed its fun culture. According to Pulse Chairman Kingsley Cooper, Fuse ODG's fashion line is especially inspiring, not only for the talent it displays, but also for the philosophy of NANA, the New African Nation. "He has set up a factory in Ghana, where he has roots, and has already employed Ghanaians to work there. He is therefore creating economic opportunities for the people of Ghana (and Britain, where he resides, and to which much of his product will be exported from Ghana), and we were very happy that he chose Caribbean Fashionweek to launch his collection," Cooper told Flair.